The BMW Group is planning to have five all-electric models on the market by 2021, with at least 12 by 2025. For now, the i3 remains its only offering, with the MINI Electric set to debut by the end of this year. As for the three models after that, they are the iX3, i4 and iNEXT, which are shown undergoing testing here. 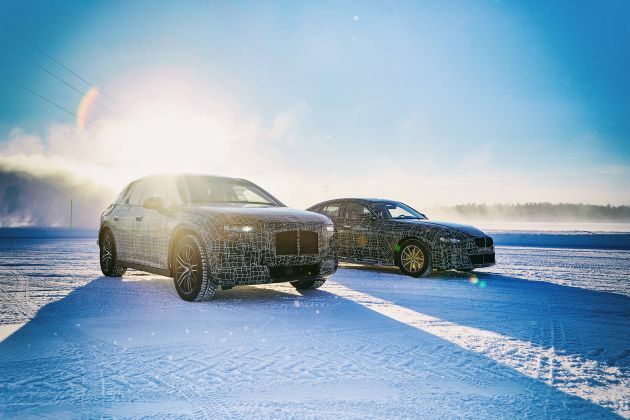 Within BMW’s framework of comprehensive vehicle testing, the three EVs are having their eDrive and suspension components tested under extreme weather and road conditions at an area at the edge of the Arctic Circle. This is to ensure the functionality and reliability of these systems remain intact despite the bitter cold. Looking at the individual models, the iX3 will be the first of the trio to be introduced in 2020. The all-electric SUV is based on the regular X3, and will debut the fifth generation of eDrive technology for the first time. Among the highlights of BMW’s all-new electric drive system is the integration of the electric motor, transmission and power electronics to create a more compact and lower-cost package. Additionally, the electric motor will not use any rare earth metals to reduce the company’s dependence on their availability. Details of the iX3 remain scarce for now, although BMW says its all-electric sports activity vehicle (SAV) will offer a range of over 400 km, and it will support fast charging of 150 kW with DC charging stations. Additionally, the iX3 will be first model made for the global market by the BMW Brilliance Automotive joint venture in Shenyang. A similarly-named concept that previewed the iX3 was presented at the 2018 Beijing Motor Show, which featured a 268 hp (200 kW) electric motor powered by a 70 kWh battery. Expect similar specifications to be associated with the final product. Moving on, there’s the i4 due by 2021, an all-electric sedan that is being described as a four-door coupe. Much like the iX3, the i4 also gets fifth-generation eDrive technology, but with a more substantial range of over 600 km. The model is no slouch either, with a zero to 100 km/h time of four seconds and a top speed of over 200 km/h. However, while the i Vision Dynamics that previewed the i4 may appear rather sleek, the development car appears a whole lot different. Production of the i4 is slated to begin in 2021 at BMW’s plant in Munich. The last of the trio being mentioned here is the iNEXT, yet another SAV set to join the line-up. First previewed by the Vision iNEXT, the concept’s bold styling appears to have been carried over, with a few revisions here and there. As part of BMW’s Number One > Next strategy, the iNEXT encapsulates important pillars defined under the strategy: design, automated driving, connectivity, electrification and services (D+ACES). Unlike the iX3, the iNEXT is said to be capable of highly automated driving (up to Level 3), as well as a driving range exceeding 600 km. The iNEXT is also, BMW’s technology flagship, and will be produced at the BMW Dingolfing plant from 2021. 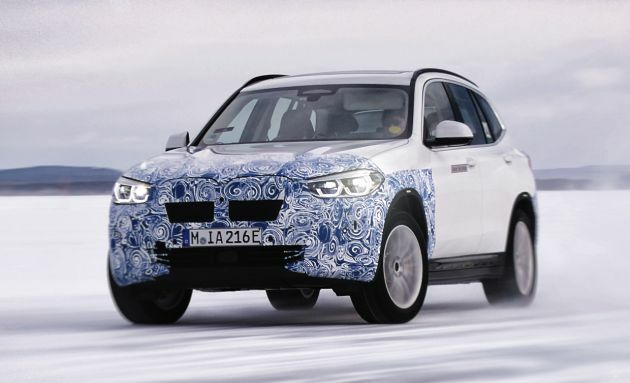 The post BMW iX3, i4 and iNEXT undergo cold-weather testing appeared first on Paul Tan's Automotive News. 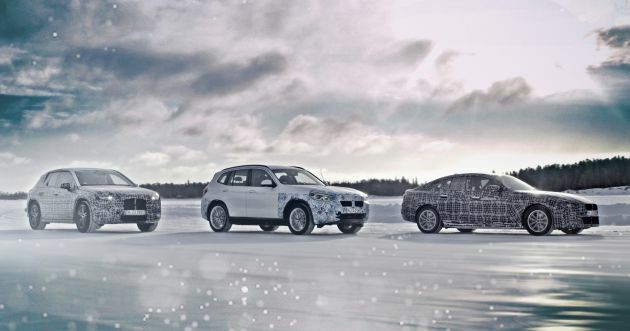 0 Response to "BMW iX3, i4 and iNEXT undergo cold-weather testing"